This is a set I have to prepare for my elementary students to practice and review plurals. This is the first one. I hope you like it:) The original font is not that one. And I don't know why the background doesn't appear so, don't worry about the preview. This downloadable handout is meant for elementary school students and kindergartners and nursery school students at Elementary (A1), Pre-intermediate (A2) and Intermediate (B1) level. 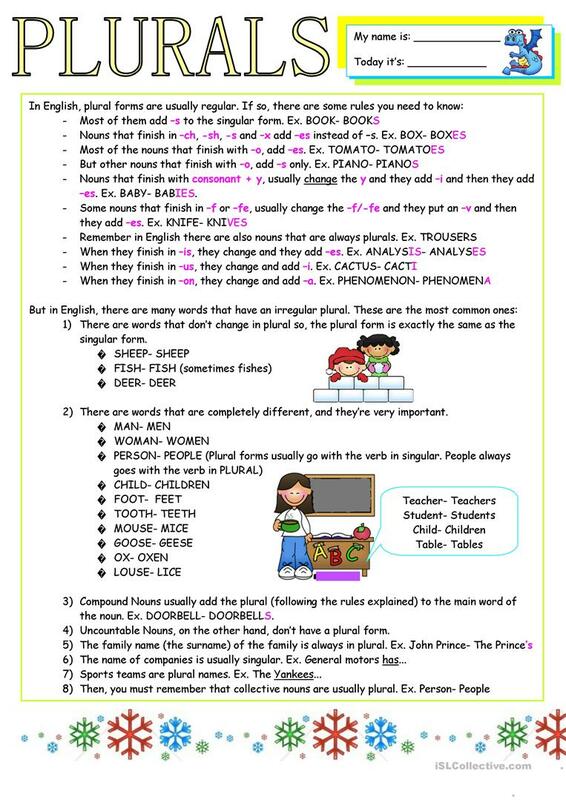 It is valuable for revising Plural nouns: regular plurals with S ending in English, and can be used for developing your class' Reading skills.